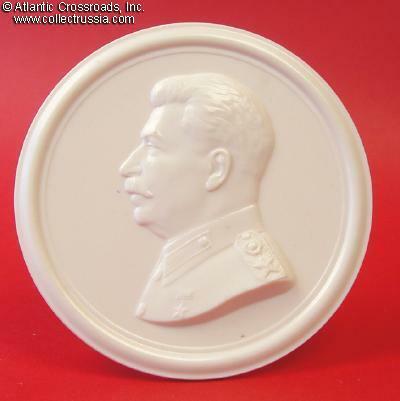 Round wall-plaque with sculptured profile of Stalin, late 1940s through mid 1950s. 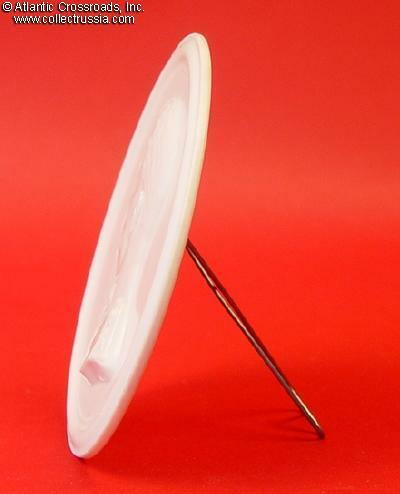 In hard white plastic resembling porcelain. 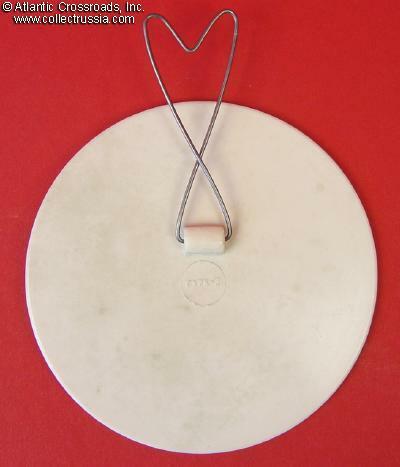 Diameter 4". Depicts Stalin wearing Generalissimo uniform with Gold Star "Hammer and Sickle" award. 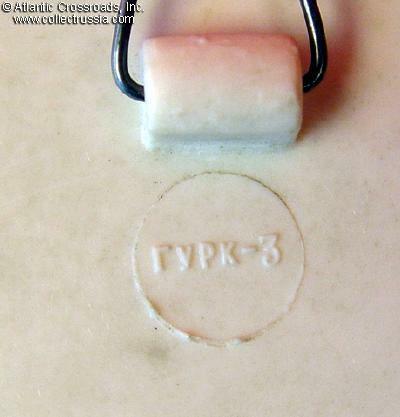 The reverse shows maker mark and has swivel support for either desk or wall display. Excellent condition.